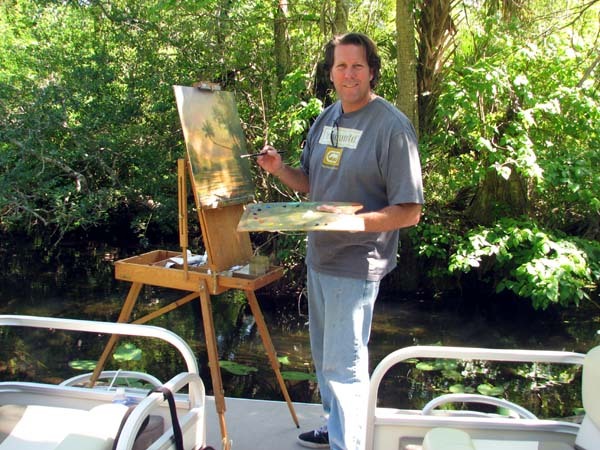 Peter and over thirty other artists from around the country participated in one Florida’s most prominent painting event of the year, spending the entire week working on location in the Wekiva River Basin. Peter’s largest painting of the week was painted on site from the deck of a pontoon boat made avaialbe to the artists. You are currently browsing the Peter Pettegrew blog archives for March, 2013.